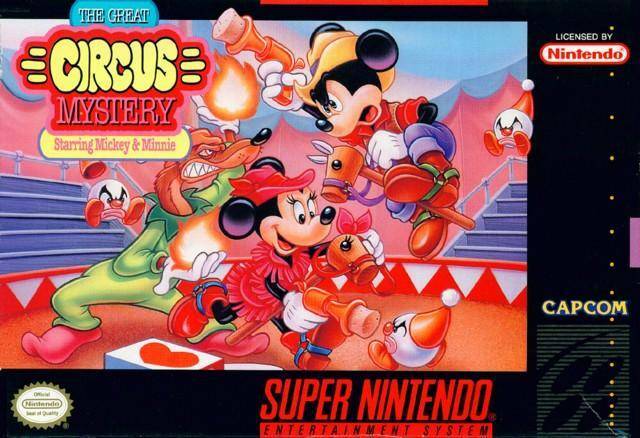 Great Circus Mystery starring Mickey and Minnie for Super Nintendo allows you to help Mickey and Minnie find their friends, the circus performers, and figure out what is going on at the circus. Play through six Disney levels including the Haunted House, Frozen Plains, and the Jungle as you search for clues that will lead you to solving this mystery. For 1-2 players.